Life of an European married in Japan with twins. Hi, so long time no see. It’s been a lot of stressful months for me, but I hope to get back on the blogging and youtube horse. Lately I’ve gotten a new hobby, or rather a new obsession, which is limited edition Disney dolls – especially the 17 inch limited edition dolls. Never heard of them? Well, me too. 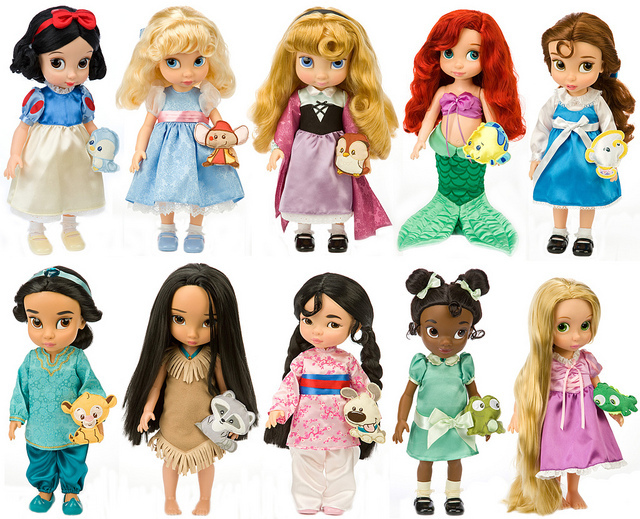 Since 2008, the Disney store have released 17 inch limited edition dolls, often to coincide with DVD releases or anniversaries – the standard price is often 99.99 USD. 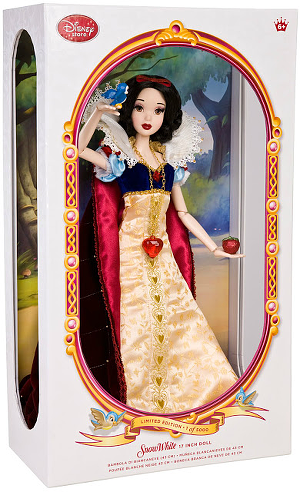 Their first dolls was the Snow White doll, she was limited to 5,000 dolls worldwide – due to her being the first and now been around for almost 6 years – she’s the most wanted doll among most fans and buying her on ebay will set you back at least 1,500 USD. 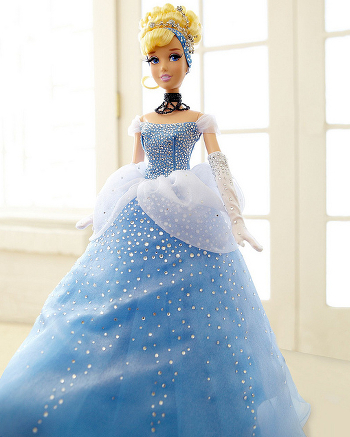 She is the holy grail of Disney doll collectors. Another famous doll is the “17 Alice in Wonderland doll, on auctions she costs the same as Snow White, one of the reasons is her extremely limited number, since there’s only made 500 Alice dolls worldwide. It was love at first sight. I went to my local Disney store, “just to see them” and on a whim, I ended up buying Belle and Mulan, my first doll purchase as an adult. Brought them home and I was in love. Called my mother and asked her to buy Ariel and Jasmine for me. Before I knew it, around the end of December I had bought them all – most on Japanese sites and shipped to my father-in-law’s house in Japan, so I didn’t have to bring them with my when I move, because these dolls are huge (also around 17 inches/47 cm). 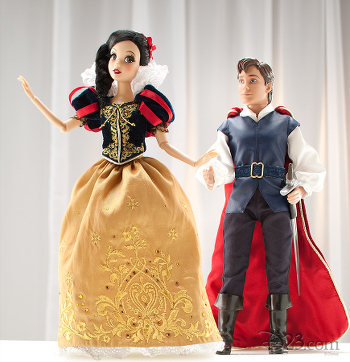 They are both 17 inches tall and limited to 2500 worldwide and their retail price was 99.99 USD (per Doll). I looked them up and it turns out that they were sold back in November, around the release of the movie Frozen and they sold out within minutes of being released online. I looked at ebay and the prices were crazy and so was the Japanese prices. A few days later I heard that a new pair of limited Anna and Elsa dolls would be released for pre-order on the 10th of January, limited to 5000 worldwide. I thought… that’s it! I studied up on how to get the dolls, the best ways to prepare myself (seriously, for those who haven’t tried it, buying the limited editions dolls are like a war online and they sell out within minutes) and then I was ready for the 10th of January. My husband and I got up 30 minutes before their release (which were 00.00 am California time) and 9:00 am Danish time. Around 00.05 am I got the link for the dolls and my heart was beating while I checked out and it went through at 00.07 am. I had my first Limited edition dolls. !!! The dolls sold around within around 40 minutes or less. After that I just looked on Yahoo! 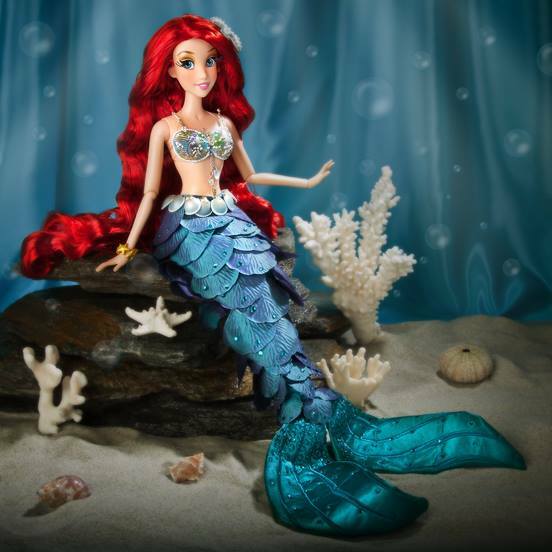 Auctions for my next chance – which was limited edition Ariel, which my husband bought for me. She’s limited to 6000 worldwide. Then things happened fast and the same day I got the fairy tale designer couple of Snow White and the Prince (limited to 6000). These designer dolls are a bit smaller than the “17 dolls – think they’re around 12 inches tall. 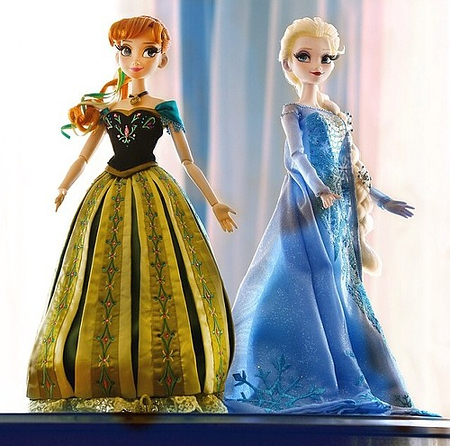 I still was searching for a good price on the November edition of the Anna and Elsa dolls (the ones pictured above), but their ebay prices kept rising in an uncontrollable speed – especially Elsa. No other dolls has seen such a price jump in such a short time. It took years for Snow white to reach the level she’s at now, but for Elsa it took only weeks. Elsa’s newest sales price on ebay is 750 USD and the pair was sold for 1200 USD a few days ago. It’s crazy. They finally showed up on Yahoo! Auctions as “buy now” for around 600 USD – an expensive price, but compared to ebay it was cheap and my husband bought them for me. I had finally gotten my two most wanted dolls. Two days ago I bid on more Japanese auctions and won: Designer Mulan doll, Designer Snow White doll (the designer is very different from the “17 doll) and then I won the “17 Cinderella doll. All these dolls bought within a month – I’m officially obsessed. Though the good thing is that these dolls can be considered an investment. They might be expensive – but they will only get more expensive with time. Meaning if I don’t want them anymore in a few years I can sell them and probably get more money than I paid (or my husband paid, to be honest). So what’s next? Of course my dream is to get Tiana and Belle (both “17), but their price level is out of my reach – at least what I feel like paying since they’re both close to 500 USD per doll. The same goes for long haired Rapunzel. So the next doll I’ll try to get is the Ever After Rapunzel (short haired), since she’s limited to 6,000 worldwide and not as popular, so often she’s sold around retail price. She’s the final doll that I feel is within my reach of price and that thought makes me happy. I can’t wait to see all my dolls, which are stored in Japan. I want to buy a glass case/cabinet for them, with LED lights and a lock, so they can be show cased in my future living room. About me & this blog.